LeadingAge Connecticut member organizations are not-for-profit and mission-driven providers of long term care services and supports. LeadingAge Connecticut is a membership organization representing not-for-profit and mission driven provider organizations. Our members serve elderly and disabled individuals across the continuum of care, including nursing homes, residential care homes, housing for the elderly, continuing care retirement communities, adult day centers, home care agencies and assisted living. LeadingAge Connecticut also manages the Connecticut Association of Adult Day Services (CAADS), a membership organization of adult day health care providers. What is the continuum of long term care? What are Connecticut's senior housing options? A continuing care retirement community is a community that provides the full continuum of services on one campus – from independent living to skilled nursing care. Residents fund their participation in a CCRC privately through a combination of entrance payments and monthly fees. Looking for a provider? You can link below to the list of LeadingAge Connecticut members which represent the full continuum of senior services. 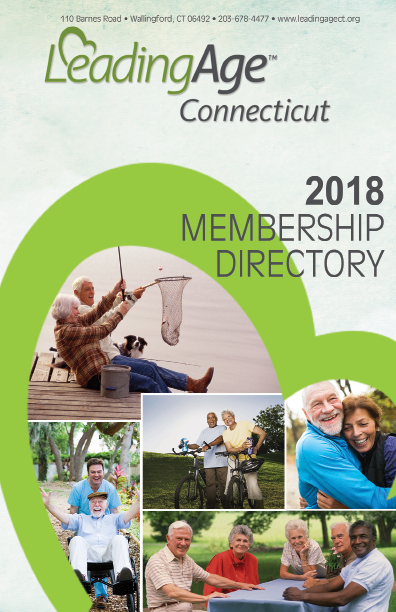 Click HERE to go to the LeadingAge Connecticut member list. Click HERE to go to the Connecticut Association of Adult Day Services members list of adult day services. LeadingAge is LeadingAge Connecticut's national affiliate, based in Washington, D.C. The goal of the is website is to provide you easy access to comprehensive information on private and public long-term care (LTC) services and supports in Connecticut, including Home Care, Community Care, Housing, and Nursing Home Care. Helpful information is also available for those who provide care and for people interested in the options for planning for their own future needs. This section of the website provides links to various materials we hope you find helpful in understanding Medicaid long-term care and related matters. DSS is Connecticut's Medicaid agency. It sets rates for Medicaid providers and managed the Connecticut Home Care Program for Elders, among many others. DPH regulates a host of health-related organizations. Connecticut's innovative public-private partnership to promote the use of long-term care insurance. Federal agency that administers Medicare and Medicaid, and many aspects of health care regulation. Federal agency that provides assistance in the development and operation of subsidized housing. The AARP Connecticut Caregiver Resource Guide is designed as a starting point to help connect consumers, colleagues, clients and constituents to the services and supports they need to help loved ones age in place. Access a free printable version of the 2015 Connecticut Caregiver Resource Guide at http://bit.ly/ctcaregiverguide.